Los Angeles-based startup Amalgam: The Blockchain Company today announced it has become “The Official Blockchain Partner” of the L.A. Clippers. 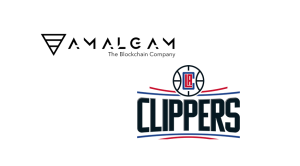 The three-year partnership will educate Clippers fans about the benefits of blockchain technology through “Blockchain 101” activations, events and other traditional partnership elements. Amalgam, the “world’s smartest blockchain company,” wants to change the way people see the technology. Blockchain 101 will activate in section 101 at Staples Center for select Clippers home games. Fans sitting in the section will receive educational information about blockchain technology and its everyday applications. Amalgam will also serve as the presenting sponsor of Block of the Month and Halftime Defensive Stats video features and receive other signage elements at Clippers games as part of the partnership. Blockchain technology, the underlying platform that powers cryptocurrency, can seem overly complicated and foreign to the everyday consumer and this innovative partnership aims to help fans understand how it can be integrated into everyday life.